January 6, 2016, New York City Can this be the year Mike Piazza will be inducted into the Baseball Hall of Fame? The answer is yes. Mike Piazza has been on the Hall of Fame ballot the last three years, but never received enough votes from the Baseball Writers of America. Wednesday, January 6th, Piazza is hoping that the fourth time’s the charm. Last year Piazza received 69.9% of the votes, needing 75% to be inducted. Piazza was in the class election with Craig Biggio who led the voting last year with 68.2% of the votes along with Jack Morris and Jeff Bagwell. The 2016 group is a very strong group of candidates. The 2016 nominees for the Baseball Hall of Fame consists of: Greg Maddux, Tom Glavine, Frank Thomas, Jeff Bagwell, Tim Raines, Curt Schilling, Roger Clemens, Barry Bonds, Lee Smith, Edgar Martinez, Alan Trammell, Mike Mussina, Jeff Kent, Frank McGriff, Larry Walker, Gary Sheffield, Marc McGwire, Sammy Sosa, Nomar Garciaparra, Ken Griffey Jr., Jim Edmonds, Jason Kendall, Troy Glaus, Mike Hampton, Luis Castillo, Randy Winn, Garret Anderson, Mike Lowell, Billy Wagner, Trevor Hoffman, Mark Grudzielanek, Mike Sweeney, David Eckstein, and Brad Ausmus. So why should Mike Piazza be inducted into the Baseball Hall of Fame? 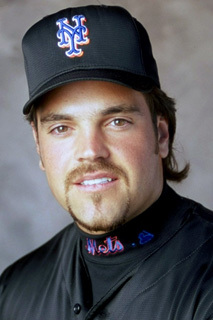 Piazza is a 12-time All-Star, and finished his career with a total of 427 Homeruns and a .922 on base plus slugging percentage, which is the highest total by any catcher in baseball history. This is Piazza’s fourth time on the Hall of Fame ballot. One of the possible reasons why Piazza hasn’t been elected the previous three years, is because he was suspected of steroid use, but never tested positive for it. He did admit however in an autobiography he wrote in 2013 he took Androstenedione, which is a muscle-building compound that became a banned substance in Baseball in 2004. The difference between Piazza being accused of taking banned substances compared to Roger Clemens and Barry Bonds, was that they were being investigated by the government. Piazza was not within the 89 names on the George Mitchell report on the Ped list in Baseball. On Monday The Baseball Writers of America are showing that Piazza has an 87% of the votes so far in a preview voting. The Hall of Fame Election will be held on Wednesday at 6:00 P.M. on MLB Network.